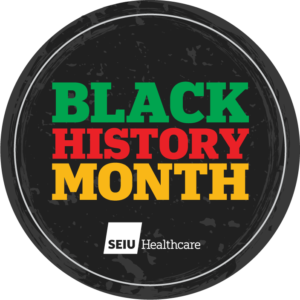 Donna Thomas’ co-worker selected her to be acknowledged during Black History Month because she has actively engaged many of her fellow members to become more involved with their union. Donna has been an SEIU Healthcare member for more than 20 years, is a steward, and she is passionate about the labour movement. “SEIU Healthcare has helped me a lot when I have had no where else to turn,” says Donna, a clinical assistant (CA) at St. Michael’s Hospital in Toronto and North York General Hospital. Born and raised in Jamaica, Donna says Black History Month is a very important time for her to celebrate her culture, but also an opportunity to give back to her community. Fifteen years ago, Donna escaped an abusive marriage after receiving support from SEIU Healthcare members. She was encouraged by members and staff to break free from the violence. She says they provided her help during that difficult period of her life. “I couldn’t have done it on my own and because of SEIU Healthcare members, I didn’t have to,” says Donna. During Black History Month, Donna volunteers at women’s shelters and makes donations of feminine hygiene products. She lets other women know that they have her support to get through their challenges. She also puts together care packages to mail to a shelter in Jamaica for women living with HIV. Donna has been very politically active over the years with SEIU Healthcare. 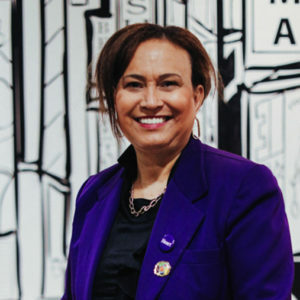 During Barack Obama’s presidential campaign, Donna went to Cleveland to encourage American SEIU members to get out and vote. She was also very involved in campaigning during Justin Trudeau’s run for prime minister. She had participated in the women’s committee for four years, during which time she gained a lot of strength, courage, and knowledge. Recently, Donna attended SEIU Healthcare’s Fall Academy, where she says she learned a lot about addressing mental health in the workplace and facing management. Since the Academy, she has been sharing her new knowledge with her co-workers. She continues to spark their interest in union involvement.